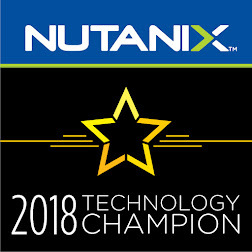 Nutanix Beam is a multi-cloud optimization service delivered as part of the Nutanix Enterprise Cloud OS. Beam provides organizations with deep visibility and rich analytics detailing cloud consumption patterns, along with one-click cost optimization across their cloud environments. Beam tracks cost consumption across all cloud resources at both aggregate and granular levels - per application workload, team and business unit. Beam identifies underutilized and unused cloud services and provides one-click remediation, empowering operators to realize cloud cost savings immediately and set policies to continuously maintain high levels of cloud efficiency. Beam visualizes resources by groups and departments, empowering cloud operators to manage their usage. Beam provides policy-based reporting and chargeback so that teams can ensure consumption is within budget and aligns with business objectives. Beam makes the planning process easy using machine intelligence and recommendation algorithms that analyze workload patterns and continuously suggest optimal purchasing decisions. Beam enables continuous security management using built-in templates that certify and maintain industry standards such as PCI-DSS, HIPAA, CIS, SOC-2, NiST, and ISO.